Can Ray Cross Reposition the UW System? Legislators see it as a Madison-centered liberal redoubt. Maybe it needs a stronger base in Milwaukee. 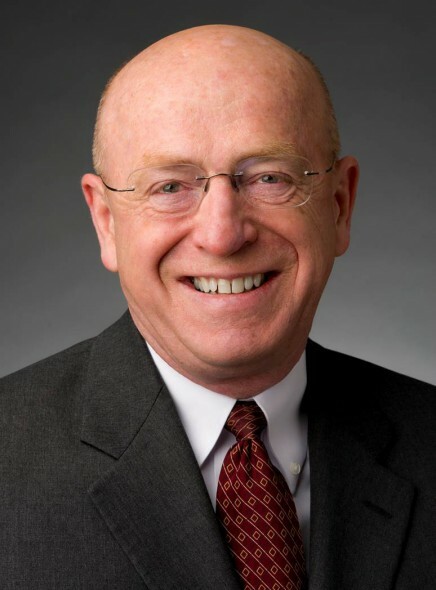 Ray Cross’ stated willingness to resign as president of the University of Wisconsin if the GOP-controlled legislature and Gov. Walker don’t relent on the $300 million cut to his budget demonstrates just how much he needs to reposition the university in strategic terms. Instead of being a target of Republicans, the system should be viewed as the state’s greatest asset. But Republican legislators look at the system as Madison-centric and as a bastion of left-wing opposition to where they want to take the state. UW – Madison is a world-class university, but it has done the system no favors by largely ignoring the needs of most of the state – where most of the votes lie. With the exception of exporting its graduates and its involvement statewide in agri-business, the boundaries of UW – Madison are largely the boundaries of Dane County. Some departments at the Madison campus may be centrist, such as engineering, business and medicine, but most of the kool aid imbibed and poured by its faculty is the bluest of blue. That may work when Democrats are in power, but it is a recipe for major opposition when they are not. In reality, governors and legislatures of both persuasions have been tough on university budgets for couple of decades. Ergo, from a marketing and political perspective, the university has done a poor job of strategic positioning. When Katherine Lyall was president as the university entered the 21st Century, she made huge strides in repositioning the system by staging four economic summits. It was a brilliant move. She acknowledged that the university had a huge role to play in then prosperity of citizens across the state. She knew where the votes were – outside of Madison. She knew that “innovation economy” played to university strengths. She still got beat up in the budget process, mainly because unmanaged health costs kept crowding out other state priorities, as they do today. But she was on the right track toward a better value proposition to offer to voters and legislators. Her university of the future was still about education and graduates, but also about job and wealth creation. Move the office of the president from the Van Hise ivy tower on the Madison campus to Milwaukee to make a stronger connection to the business hub of the state. There’s open UWM space right downtown. The present disconnect of the System from the business community is a major economic disadvantage. Reorganize the system’s 26 campuses into regional groupings. Each would speak with a powerful voice to their home base legislators. Lobby the heck out of them in their back yards, where they listen. Economic development works from the ground up at the regional level better than top down from Madison. In short, organize to where the votes are. The last UW reorganization was more than four decades ago. Get serious about making UW – Milwaukee the equivalent of Michigan State in tandem with U – Michigan. UW – Madison can fend for itself. It has more than $6 billion in off-balance sheet assets that aren’t tapped enough. Like Stanford and MIT, it has generous mega-rich donors. UW – Milwaukee operates on a shoe strong amidst its great ambitions. Three of its scheduled buildings just got shoved out of the biennium capital budget. With the states biggest poverty problems in its region, it deserves disproportionate, not pro-rata, support. Convene a Blue Ribbon Commission on the future of the UW System to apply some tough love to its sprawling offerings of majors and courses and to the myriads of “centers” that have minimal impact on the state. Own up to the brain drain of more than 10,000 college graduates per year, including those lost on a net basis through the Minnesota reciprocity program. From a pretty strong entrepreneurship foundation at some campuses, put full weight behind the creation of a startup economy. That’s where the hot jobs will be created to keep our kinds and grandkids here. UW’s foundations could make investments in that arena, as UWM Foundation already has. To reclaim credibility in financial management, follow the lead of most university systems in the country and produce rigorous set of consolidated financial statements. (Include the recent $250 million UW Hospital investment in Illinois.) Most of the controversial reserves are at UW – Madison, not the other campuses, as consolidated statements would show. Deal with the ancient issues of tenure and shared governance with faculty in the context of the Blue Ribbon Commission. It’s time for some innovative thinking on those major topics. Tackle the related issues of soaring tuition and student debt head on. Again, there are many creative financiers in the state (many UW grads), who could come up with fresh strategies to reduce the burdens of students and parents in their quests for college educations. The UW brand has much strength, partly because another former UW leader, Donna Shalala, challenged conventional wisdom to prove that Badger athletics could operate on the same high place as UW academics. She was a strategic marketing genius. So was Lyall. Your turn, President Cross. Are there other ideas out there that will help him get UW System back to the high ground? When John Torinus gets on one of his high horses, he rides it until it is well past the the time when the horse should be sent to the glue factory. His original topic was health care cost containment. On and on and on, ad nauseum. His latest cause: that the Madison campus does nothing for the rest of the state. Respectfully, John, you are full of horse excrement. Talk to the folks at GE Medical Systems, who use the Radiology Department at UW Hospital & Clinics for most of their basic research. Or the folks at Johnson Controls.who announced in February that they are working toward another major innovation in heating and cooling in collaboration with UW-Madison chemical engineers. These are just two examples which come immediately to mind. We are lucky to have a world-class research university located in our state. Instead of complaining about its imaginary shortcomings, we should do what we reasonably can to protect and improve it. John apparently is unable to understand that the state can’t afford two major research universities. Sadly, we can barely afford the one we have. Bucky, I agree with John. The rest of the state gets scraps and no love. I don’t believe you should just dismiss his points. With a name like Bucky Badger it’s no wonder you take offense. I’m opposed to the massive cuts but I do believe UW and Madison residents in general live in an elitist bubble and I’m a Democrat. And we should absolutely have two major research universities with Milwaukee being one. David, this isn’t a zero-sum game, it is a Minus $300 Million Game. We’re taking away from the campuses, not adding to their Budgets. In a situation where there is extra revenue to be shared, it would make sense to spread the wealth strategically. That’s not where we are at, however. The Torinus suggestion is to have two mediocre research universities. That makes no sense. The idea that “the rest of the state gets scraps and no love” is more horse excrement. Come stand in the lobby of the UW Hospital any day of the week and you will see the sickest patients from all corners of the state come through the door. The Medical School uses regional clinics across the state to educate its third and fourth year students. And the College of Agriculture and Life Sciences continues to produce innovations critical to the continuing health of our state’s agricultural community. Sorry, Bucky, but this Milwaukeean living in Madison believes the critique to be pretty much on target. Also, whatever your beef is with Torinus, you seem to be missing (or ignoring) a key point- that UW-Madison’s inability to reach outside of Dane County not only hurts its own image but the UW system as a whole. This fits into a much larger historical context of uppity, so-called-liberal Madison looking down with fear and loathing at Milwaukee. As we can see from the publications on this website, Milwaukee is on the verge of a big upswing (downtown, lakefront, Walker’s Point, etc.) and it would be wise, both in terms of economics and general image (remember the Wisconsin Idea that Scooter tried to butcher? ), for the UW System to pay more attention to UW-Milwaukee, which is shamefully ignored. Your statement that “the state can’t afford two major research universities” exposes your bias, Bucky. The state already has two major research universities, UW-Madison and UW-Milwaukee! One is doing well and the other is just trying to keep the lights on. You want to talk about high horses? Pot, meet my friend kettle. UW-Madison is an amazing institution but it is part of a larger university system. You can’t have a flagship if the rest of the fleet is missing. I strongly suggest you find the phone number of your colleague Pounce the Panther and see what’s happening in Milwaukee. You might be surprised. Sorry, Progressive Digest. Thirty plus year resident of the City of Milwaukee and one of its suburbs here. Have been hearing about the “big upswing” since my arrival. Still waiting. The Madison campus has remained strong even as state support has withered because of its good fortune in having alumni with foresight. In 1861, graduates concerned about the state shifting scarce funds from the University to the Civil War effort prompted the formation of the Wisconsin Alumni Association. In 1925, alumni concerned that the state was about to abandon the potential patent on Vitamin D irradiation formed the Wisconsin Alumni Research Foundation — WARF — the first university patent licensing agency in the world. (WARF promptly sold the rights to infuse cereal with Vitamin D to Ralston Purina for more than $1 million.) In 1945, alumni concerned that the University would not be prepared for the wave of veterans coming home from WWII founded the UW Foundation. In other forums, Torinus has advocated confiscating the assets of these independent non-profit groups, all of which were formed to help the Madison campus avoid mediocrity. The state is out of cash. You can argue about whether it should be broke, or why we are at this hard place. That isn’t the issue here. If you chop down Madison it will never regain its status. Hard truth. The good people who graduated from UWM should respond to the call to lift up their Alma Mater, just like Madison graduates have done through many generations for more than 150 years. Bucky Badger is right, and I have lived in Milwaukee County for the vast majority of my life. If ever there were an opportunity to make UWM Michigan State or UCLA to UW’s Michigan or Berkeley, that opportunity disappeared 40 or 50 years ago, Michigan State and UCLA were built when federal money was more readily available, and state support of higher education was a priority, not a residue of other eras. John Torinus is a thoughtful, public-spirited businessman, and our state would be better off if there were dozens more like him, but his comment about “dealing with tenure and shared governance” with “innovative thinking” scares the heck out of me, if the last burst of “innovative thinking” from Scott Walker is any indication. The current batch of Republican legislators (philistines like Steve Nass and Robin Vos who know the cost of everything and the value of nothing) would turn UW into the University of Phoenix with Division I athletics if they could, and seem to get their impression of higher education from talk radio hosts. When they start devising a tenure system, hang on to your wallet. All of this so Walker can brag about a $5 property tax cut! Keep the money. There is no doubt that UW-Milwaukee has been shortchanged by the State of Wisconsin. In 2011, UWM got $4230 per student in state and local appropriations while UW-Madison got $10, 683 per student. I will leave it to others to explain or justify this discrepancy. I do want to point out, however, that despite this stepchild status among UW campuses, UWM has in fact managed to assemble a world class faculty who are giving students there an excellent education while conducting research that earns it a national and international reputation. UWM is not as far away from success as has been suggested,but that does not mean it can continue to thrive given the disabilities under which it is suffering. Regarding the soaring tuition, what many (not necessarily this author) overlook is how they are a direct product of the cuts to funding from the state. The bills need to be paid somehow, and if one source of revenue (state funding) gets cut, another (tuition) needs to make up for it. Given the sustained trend of cuts to funding over decades, it’s no wonder that tuition has outpaced inflation to the extent it has. I don’t disagree that UWM is underfunded, but the comparison of per-student funding might be exaggerated, depending on how it’s calculated. If the medical, veterinary, pharmacy and law schools at Madison are part of the calculation, that would explain at least some of the discrepancy. I’d be interested to know about that. And Scott Walker’s tuition freeze may be either an attempt to pit students and their families against faculty (“divide and conquer” again!) or attempt to cheapen the product to make it worth a lower price. Yes, UWM is a “research university,” but the amount conducted there is a drop in the bucket compared to the Madison campus — roughly 1/16th. Is is possible to “grow” the research done in Milwaukee to approach Madison? Not likely, given the state’s finances and the greater difficult in squeezing research dollars out of the federal government. We have a research giant in the state. It is highly unlikely that what we have in Madison can be replicated elsewhere. Instead of trying to play “catch-up” with Madison, UWM should concentrate on its urban mission. In the year 2010, [UWM] had a total research expenditure of 68 million US Dollars ranked 179th among US research universities by total research expenditure in 2010. SwedishAmerican Health System has become a part of the UW Health system, and now has full access to our quarternary care services, including our nationally renowned academic subspecialists. All parties recognize the need for SAHS to update and modernize some of their infrastructure, (including, for example, their electronic health record system and inpatient units). We anticipate that these needs will be met through the operating income generated by SAHS, which is very strong, and should provide ample funds to meet these needs. Contrary to speculation from others, we do not plan to transfer a large amount of cash from UW Health to SAHS. Our current projections are that SAHS will continue to thrive, both in its clinical services and in its finances, and will not require support from the system, but rather will provide an invigorated stream of patients to UW Health who are seeking the specialized services of an academic health center.